German Chancellor Ms Angela Merkel probably hoped that after the disastrous NATO summit of last week where the attention was focused on her government’s pipeline deal with Russia, things would calm down and she could take some well-deserved vacation. But lo and behold as the immigration issue is back with a vengeance. After she managed to fend off her Interior Minister Mr Ernst Seehofer who had threatened to resign over her soft refugee policies and struck a deal with other European nations for a renewed focus on immigration in Europe, it was this time the German press who handed her another scandal. The Germany daily Welt am Sonntag stated yesterday that a federal report of the Bundestag (the German parliament) which claimed that 24,000 people were ordered to leave Germany and return to their home nations was only partly true, as a mere 11,000 of those deportations were factually carried out. It would seem the other 58% of people were ‘not found’ at the address where they were registered. Mr Ernst Walter, chairman of the Federal Police Union, admitted that it was ‘frustrating’ for his forces: "It creates an enormous amount of work for the federal police that every second person to be deported is ultimately not delivered by the responsible state and local authorities." “The only way to prevent them from disappearing is to make much greater use of deportation detention." 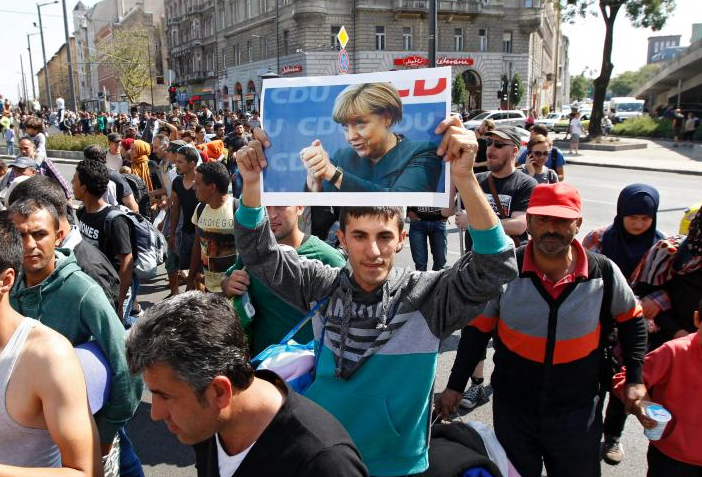 Meanwhile Ms Merkel’s coalition partner, the Social Democrats, claimed that it was not necessary for Germany to increase the number of deportations (as per the new agreement with the EU) as most of them were ‘well integrated’ into society. Federal Labor Minister Mr Hubertus Heil stated: "I sometimes have the feeling that the wrong people are forced to leave Germany. This is a nuisance for all involved and are invested." According to the article in Wellt am Sonntag, some 12,800 deportations failed, and in 500 of those cases it is because the police faced active or passive resistance from the deportees. Globalist FILTH must have a war with Russia to accomplish their war-fun in the Mid-East. At least 1/2 of the other half should as well! Globalist filth is a weasel word for KIKES.